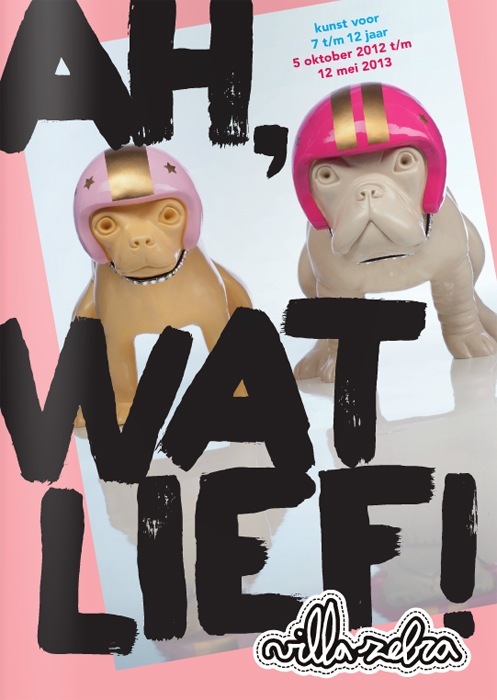 Birgit Verwer participates in Ah wat Lief!, a group show at children's museum Villa Zebra in Rotterdam. On view from 5 October 2012 until 12 May 2013. With works by Annerose, Peter Bastiaanssen, Merijn Bolink, Anne van Eck, Wim van Egmond, Stefan Gross, Han Hogeland i.s.m. John Treffer, Eva Krause, Marjan Laaper, Tom Liekens, Christien Meindertsma, Rachel Nieborg, Onno Poiesz, Roos & Chris, Bart Siebelink, Marie Cecile Thijs, TINKEBELL and Birgit Verwer. OPENING 4 October 2012 at 5 pm. Villa Zebra creates visual art exhibitions for children between 3 and 12 years old and seeks to stimulate creativity and curiosity in children.